In the last year, I guess since I launched the HALAL-HARAM project, I get hit up often to do interviews which range from students working on their thesis projects about art and muslims, blogs, podcasts etc. And I enjoy doing these because I love having conversations about my work with all different types of people living all over the word. Its great to gain their perspective and share mine with them. 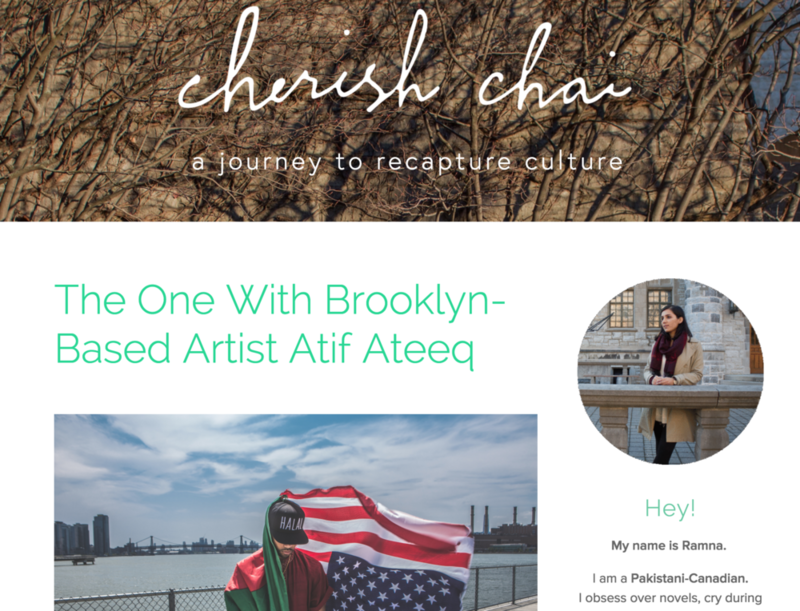 I do a terrible job of cataloging these interviews but I recently had a conversation with Ramna Safeer who started a blog called Cherish Chai. She was very interested in my outlook on balancing my Pakistani heritage with living in America and the various projects I've been working on. Check it out here.